Scott is the king of surprises. He likes a great date day, so I was pleased to find out he had arranged for our very first Sailing Lesson. 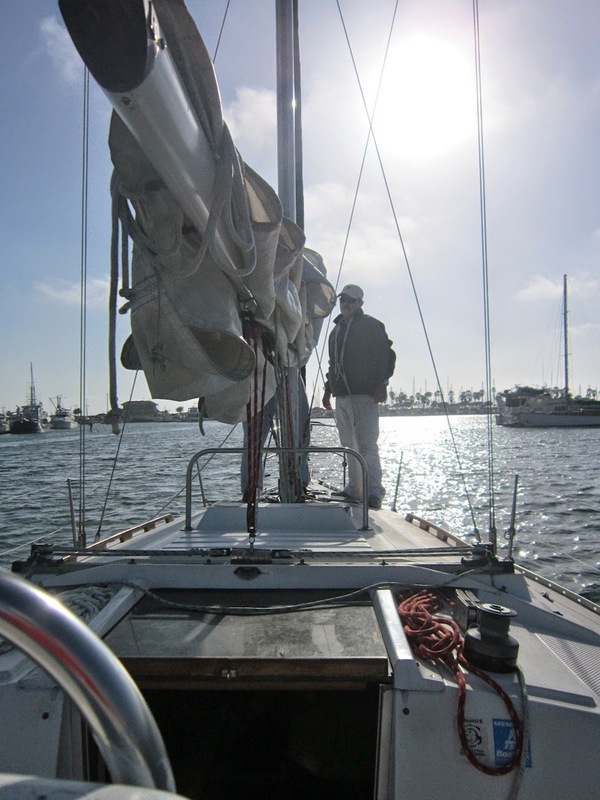 We met our teacher from Pacific Sailing at the dock in the Ventura Harbor and looked forward to soaking it all in! We learned all about our boat, her name was "Layla"and was a 34 foot Hunter. I thought she looked pretty seaworthy and looked forward to getting her out in the open water. 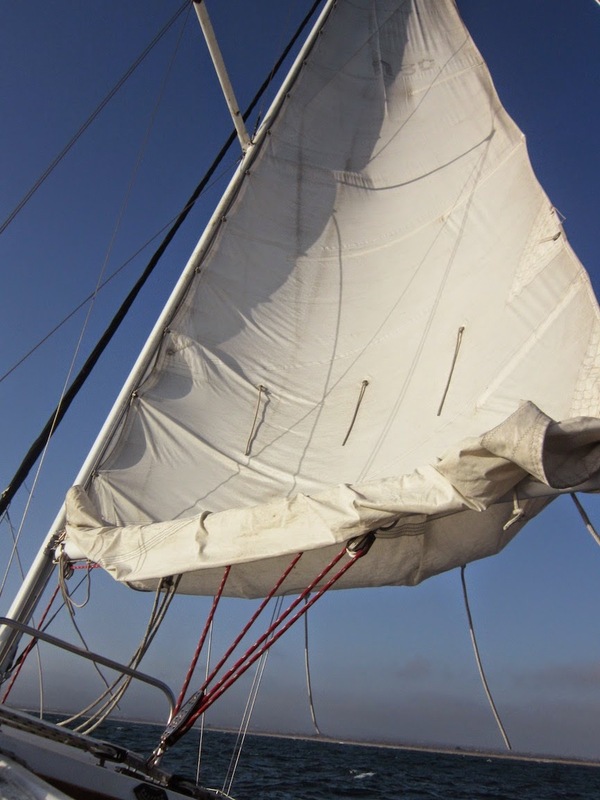 Scott was taught how to work the lines and open up the sails properly. We switched at about the halfway point of our lesson and I was happy for a rest. 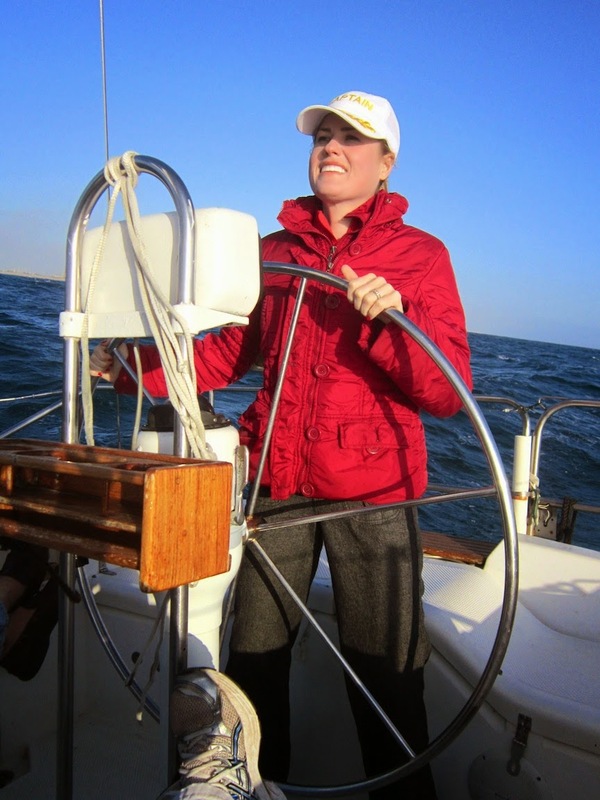 Sailing a boat in the wind is a full body workout! It was a beautiful experience and I know if we could handle the rough waters of yesterday we will be handle any day! Our instructor was quite proud of us! 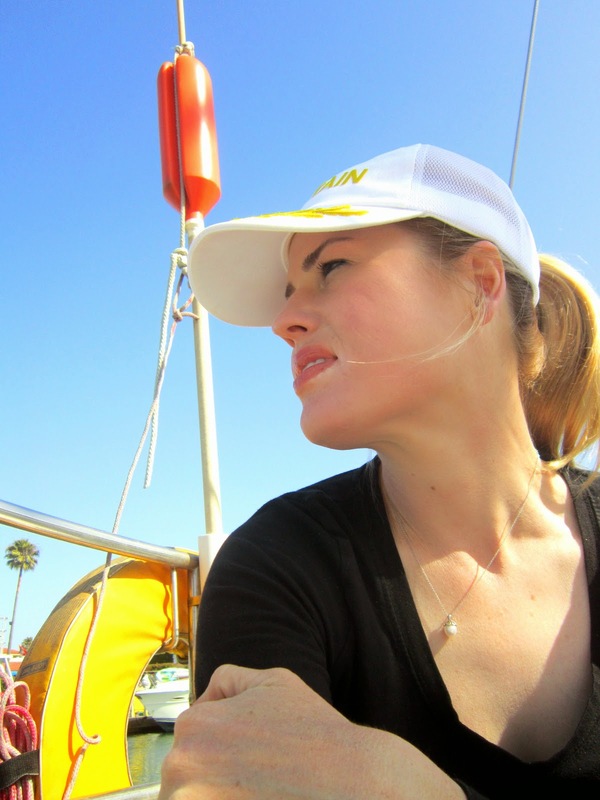 In the Ventura Harbor there are tons of restaurants: Seafood, French, Sushi, Greek, Italian and Mexican places are all available for the enjoyment of visitors. We both were pretty chilly and needed something to warm up our bellies pronto. Margarita Villa was close by so we decided to see if we could catch the tail end of the NBA - Miami vs. San Antonio game. We sat down at the bar to watch the last quarter of the game and tore into a basket of chips and salsa. I was ravenous, anything would taste good to me at that very moment. 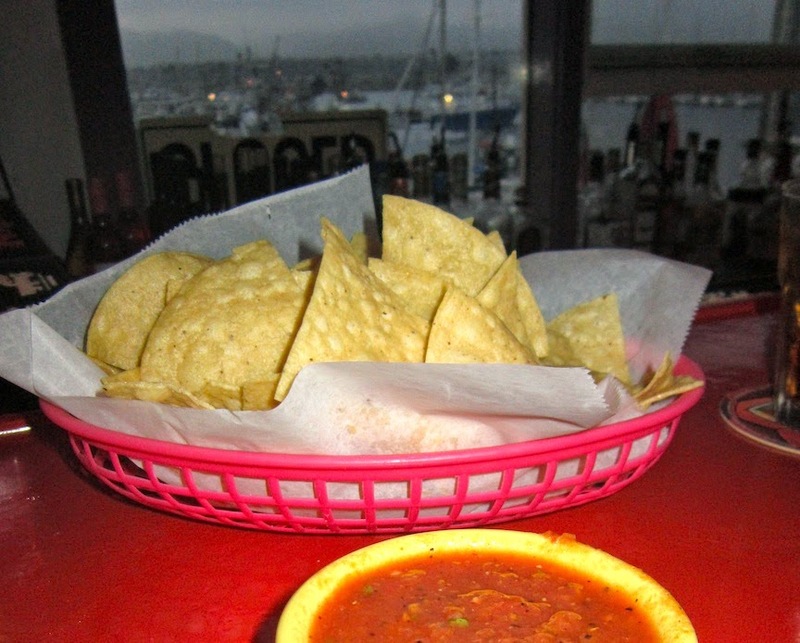 The salsa was not bad, chips maybe a tick stale but it was not anything I could not work with. I did the Two Item Combo - Chile Relleno and Chicken Enchilada. The enchilada was fantastic! The chicken was really moist and the sauce very mild but totally pleasant. I did not care for the chile, as it was not cooked as soft as I prefer. The rice and beans were just fine. I was so proud of Scott for planning this little adventure for the both of us. I know how much he loves the water so I was happy to be included in his passion. He looked like a little kid in a candy store. I look forward to many more days like this!